General Conference FHE Lesson – Why Do We Need a Prophet? And Adam called his wife’s name Eve; because she was the mother of all living. Gentle words I hear you say. Your kind hands help me each day. Dearest mother, I love you. Start by asking: What does the word ‘mom’ mean to you? Motherhood is a divine characteristic that all women share. Motherhood is characterized by charity, devotion, and diligence. However, a woman does not need to have children in order to live the attributes of motherhood. Eve was called the mother of all living before she had children. All women are able to serve, love, teach, and honor their covenants. First and foremost, motherhood is a statement about the divine nature of women. Ask: What did you like about this video? What are some of the attributes that Melanie had that made her take on the role of motherhood? Read aloud: Motherhood is essential to God’s plan. Every Mother’s Day, we honor all types of mothers and anyone who has been a mother to us in our lives. It is important we celebrate the great gift of motherhood in our lives and express gratitude to God. Ask: How can we show the mothers in our lives that we are grateful for them? How can the idea of motherhood make us all better disciples of Christ? 1. On a paper plate, arrange 8 or 9 pretzels. 2. 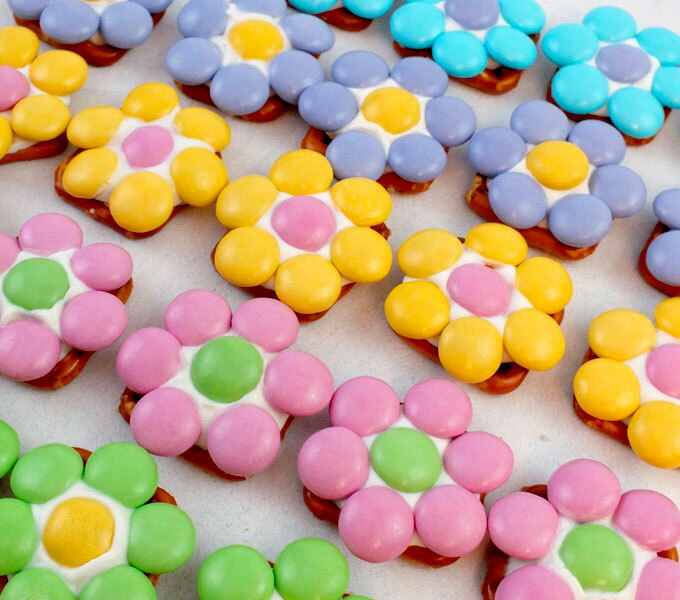 Place a candy melt in the center of the pretzel. Heat in the microwave until slightly soft, but not melted. 3. Place a single chocolate candy in the center. Create the petals by placing candies of a different color around the edge. 4. Allow to cool and set. This is a unique and fun craft that can be turned into a gift for Mother’s Day! Step 1. Decide what scent you’re going for. This is a great time to explore various herbs, flowers and botanicals with your child. As mentioned, we decided on a lavender (dried), rosemary, lilac perfume as well as a rose and sage one. We used lavender essential oil for both perfumes as that’s all we had but you could certainly use different essential oils for variety. Step 2. 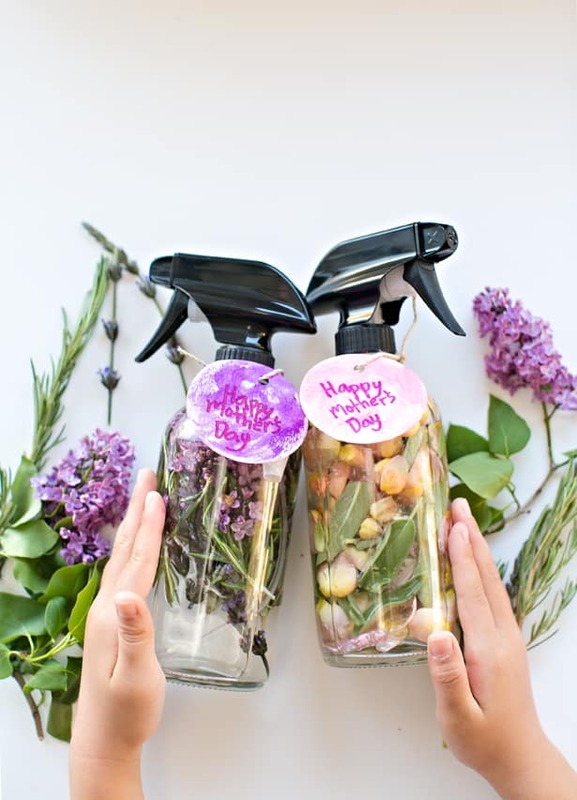 Have your child cut or tear the herbs and flowers and add them inside the bottles until about 3/4 full. Step 3. Add several drops of essential oil to each bottle. We added about 6-7 drops each. Step 4. Add filtered water until full and shake to distribute the essential oil. You can use a funnel or a large pastry tip like we did to prevent spillage. Step 5: It is great to spritz these lightly around the house for a gentle scent. Aleah is a graduate of Southern Virginia University, where she studied English, Creative Writing, and Dance. She now works full time as a social media manager, writer, and editor. Aleah served a mission in California and is addicted to organic milk, Lang Leav poetry, Gaynor Minden pointe shoes, and Bollywood movies. How often do you want to receive emails? Have something worthy of sharing? Contact us. Not an official website of the true church. Get inspiring LDS messages, news, and events sent to your email inbox daily, weekly, or monthly!